This event counter, folding table is one of the most economical and versatile ways to display information or merchandise. The portable counter has a lightly speckled gray top with matching gray, powder-coated metal legs to be used in any environment. 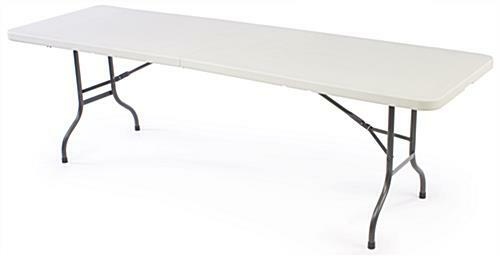 Built with a high pressure laminated surface top and a heavy-duty understructure, this folding table for table skirts can be used for many years to come. 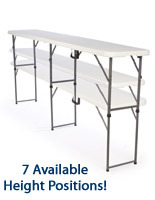 The folding table is 96" wide to provide ample work or display space, which is also moisture-proof, as well as corrosion and stain-resistant. 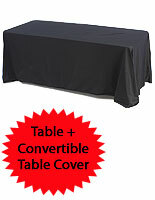 The folding table is great for use alongside table skirts in trade shows, banquets, conventions, and lectures. 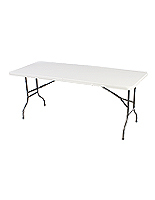 Featuring durable metal legs with a cross bar on each side, this folding table offers maximum strength. 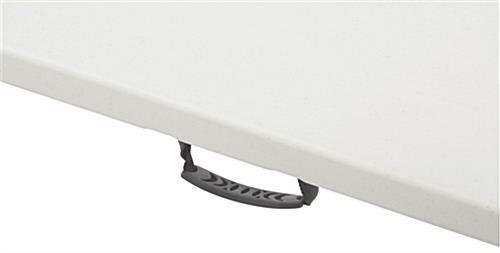 The legs of this folding table each feature non-skid caps to prevent floors from being scratched. This surface is affordable and incredibly stable when fully set up. 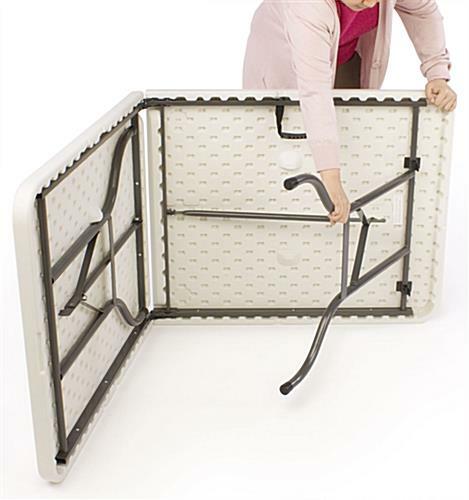 This foldable table conveniently collapses together and can be easily carried or stored. 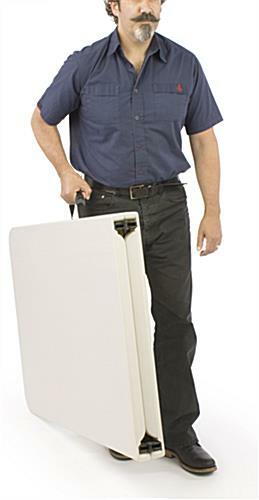 A folding table, like other event tables and trade show counters, also has an easy grip handle to make it easier to grab and go. 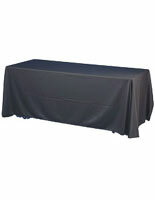 This collapsing table combined with table skirts will make your next tradeshow experience that much easier prepare for.